Heart disease is not a single disease but a collection or a group of conditions in which blood vessels supplying blood to the heart gets damaged or the heart is not able to function normally. Below are some common sign and symptoms of cardiac diseases. Breathlessness or shortness of breath is commonly seen in patients with heart disease. Difficulty in breathing on physical exertion may indicate a problem in the heart valves or could be due to inflammation and weakening of the heart muscle. 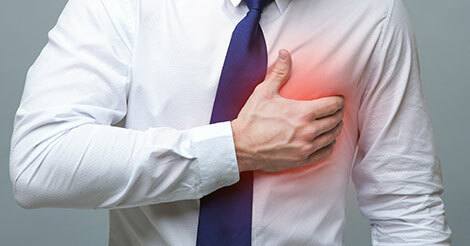 Chest pain or angina is a classic symptom of heart attack and coronary artery disease. Type and duration of chest pain indicates the underlying heart disease. Pain could be short-term, constant, stabbing or sharp in nature. It lasts for a few seconds to hours. People with congestive heart failure develop swelling in the feet and ankles due to reduction in the blood pumping capacity of the heart reduce. This eventually affects the kidneys which respond by retaining more fluid in the body. The fluid starts getting accumulated in the feet and other parts of the body. A person who is likely to get a heart attack may start sweating profusely without any apparent physical exertion. Heart failure results in over stimulation of the sympathetic nervous system that leads to sweating. Symptoms of heart disease may vary in men & women. In women common symptoms of heart failure/heart attack is unexplained overall tiredness and fatigue. Fatigue is also common in the older people with diabetes who also suffer from heart disease. Rapid pulse rate or strong heart beat is a usual complaint made by people visiting a cardiologist. Palpitations could indicate a heart problem when associated with shortness of breath, weakness sweating and other symptoms. Some people may experience intermittent or constant pain in the shoulder that radiates to the entire left arm and even the back. Loss of consciousness: Sudden unconsciousness is an emergency which requires immediate medical attention. Understanding different types of heart diseases is important and one needs to understand its signs and symptoms. Precautionary measures are necessary to avoid any hazard and Indus Health Plus can help you achieve that with its essential heart checkup. This checkup is useful for individuals of different age groups. 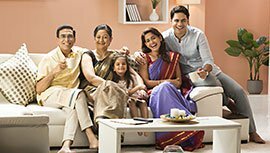 The checkup assists to know the changes needed in the lifestyle, medication and food habits to stay fit and healthy. If you want to get in touch with us regarding health checkup, then fill out the form below.